The French scene consists of a muddied pool of player relationships that would rival most geo-political summits and put to shame any Game of Thrones fan forum. Within this complex web of friendships, rivalries and circumstantial amnesties, lies an unmistakable pool of French potential and talent. Unlike any other regional scene in the world, this pool of talent exists in an ebb and flow of roster and positional changes that over a long enough period of time and in the right conditions will produce an elite international side capable of contending for titles or at least becoming a dark horse/upset side in every tournament they attend. This ebb and flow of the French scene has made for some of the greatest teams in the history of CS:GO, from VeryGames of 2013, and LDLC of 2014, to some of the most disappointing sides full of untapped potential, such as the recent 2016 EnVyUs lineup and the faded memory of a broken Titan squad at the back end of 2015. This paradigm of the seemingly inevitable rise of a top-tier French team in CS:GO is set to remain; with the G2 esports roster being catalysed into the top echelons of international play, following the removal of long-time veteran in-game-leader, Ex6tenz. With the absence of Ex6tenz’s well known, strict, execute focused strategic style of calling, in its place, star player shox took up the mantle of leader and adopted a significantly looser type of calling, that has not only allowed his own playstyle to blossom, but also that of his star counterpart, ScreaM. ScreaM just like the very nature of the French scene itself, has had his brief moments in the limelight, but for the majority of his career, has been playing under the weight of his own reputation and potential. 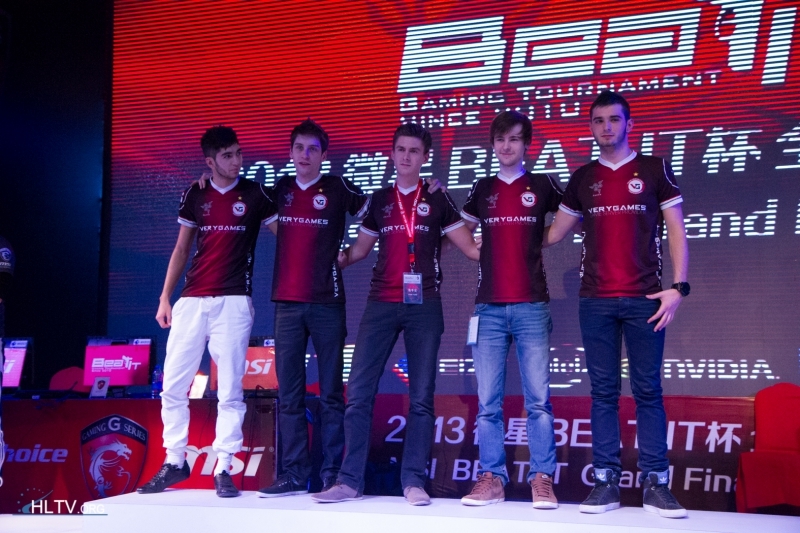 Having first gained a name for himself as a part of the dominating VeryGames lineup of 2013 along with legendary names: NBK, SmithZz, shox, and Ex6tenz; ScreaM acted with NBK as the reserve firepower to shox’s transcendent performance on LAN, and with this lineup they were for a period of time considered the best team in the world, and were the first group of players to not only match, but truly overcome the indomitable reign of NiP. However with changes to the mechanics of CS:GO, which greatly limited ScreaM’s infamous stutter strafing movement, and emphasis on headshots, combined with a clear drop off in form meant that his stock value as a player dropped considerably. This would eventuate with him not being at the discussion table when it came to the first major French shuffle of players, and as such was cast out into the wild of second-tier French talent, as part of Epsilon in late 2014. He would then be saved from this almost semi-professional level of play by Team Kinguin, and their strange conglomerate of nationalities and fallen stars. However after almost exactly a year of absence from being on a top level French team, he would make his triumphant return to Titan in late 2015. The Titan organisation crumbled soon after ScreaM re-joined, and the roster would be picked up by G2. If ScreaM left Titan in 2014 a inexperienced boy, then with his former in-game-leader and mentor Ex6tenz leaving in 2016, he would become a seasoned man. The first tournament where the world would finally see a much more matured, and significantly better-rounded ScreaM would be at the ESL Pro League Season 3 Finals in London. After their catastrophic failing at Dreamhack Malmo where ScreaM’s side was knocked out in consecutive fashion by Godsent and CLG, the expectations on G2 going into the Pro League finals were not high. 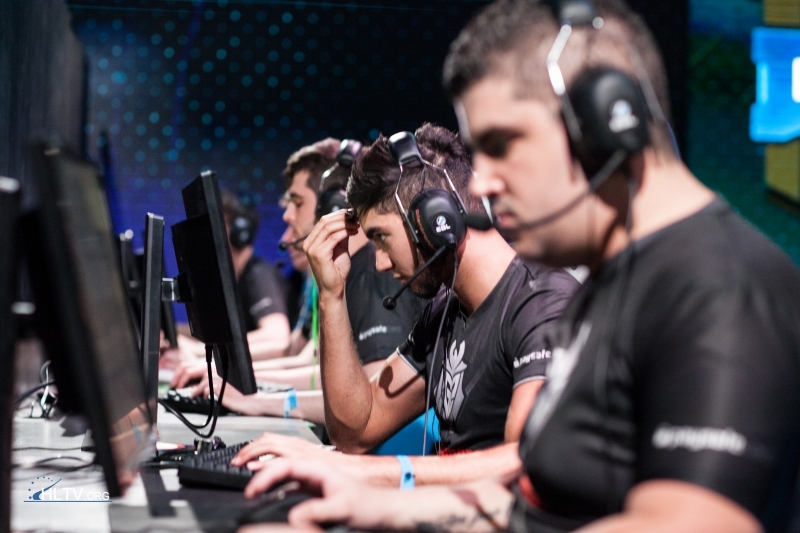 Predicted to be knocked out in the group stage, G2 shocked fans and analysts alike with vintage performances from Rpk, ScreaM and shox, allowing the slumping Frenchmen to beat both Optic and Luminosity, and leave group in first place. An extremely powerful and consistent duo in the form of shox and ScreaM had suddenly emerged from the crest of their group stage wave of momentum, and was the driving force behind their tight three game win over Fnatic in the semi-finals, and what was even more surprising was the even closer, full five game series against Luminosity in the grand finals, that saw both shox and ScreaM drop a combined 242 kills to narrowly lose the series 2:3. Although ScreaM and G2 left London with a silver medal, they showed a breakthrough of form that had been sorely missing within the top two French teams for months. This two gamers within G2 combination of shox and ScreaM pushed their side to qualify for ESL One Cologne 2016, following two shaky performances against Mousesports and Gambit and boast a near clean sweep of their ELEAGUE group, before losing to a resurged NiP in the grand final. However impressive these tournament runs for ScreaM were individually, the crowning jewel of his time away from the VeryGames lineup of 2013, would be his tournament MVP performance at the ECS Season 1 Finals. Scarily consistent over every game, ScreaM showed off a completely evolved playstyle that relied more on individual one vs ones, and smart positioning, rather than his infamous fast twitch one taps. The ECS Finals highlighted a changed mindset towards play Counter-Strike from ScreaM, and bought his career around full circle, from his gaudy, potential saturated beginnings where he built up a loyal fan base from his unique style, to creating a more matured and cerebral feel for the game where he showed off his complete evolution of as a player. That is what makes ScreaM unique as a player, how he transformed from being a godlike aim talent – which come a dime a dozen in professional play – into a much more nuanced beast of positioning, that can still at any point draw upon a bank of muscle memory and create insane highlight reel plays. This is the X-factor that he brings to his side, whereas shox remains on top of the mantle as one of, if not the best player in the world, bodyy is still a developing talent, and both Rpk and Smithzz act as role players in the machine that is G2, ScreaM can act as a tempered, but volatile force, playing smart and playing patient, until a controlled flurry of aim emerges to catch the opposing team resting on their laurels. ScreaM’s roster history, tumultuous relationship with the short end of French talent, and transformation as a player makes him a unique phenom in his own right. His ability to recognise his own shortcomings, adjust the errors within his own play, and then apply and overcome opposition using these fixes, is a glaring characteristic missing from many French players. The evolution of these at times minor, and at times major changes, can be seen over his many failed and successful tournament runs. 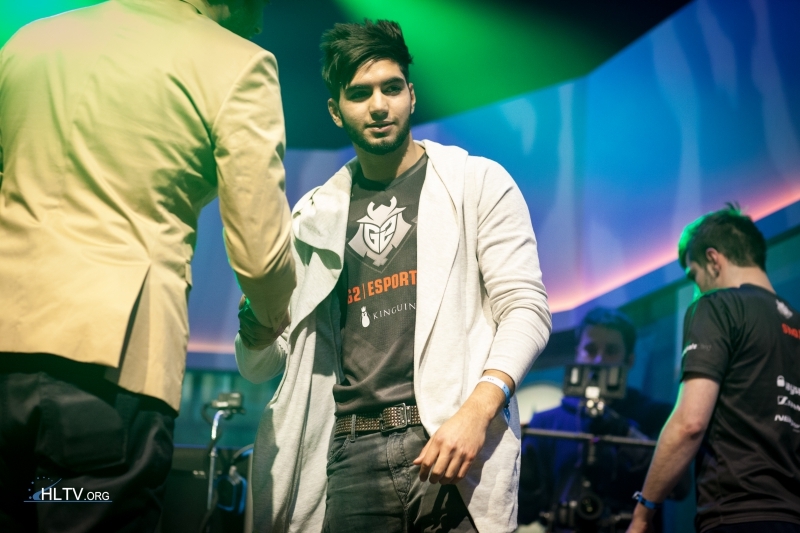 From his role filling days to shox on VeryGames, to acting as a co-star with the same player in G2, ScreaM has come full circle as a player in game. However if he wants to fully complete the overarching story of returning to the glory days of VeryGames, then a top four finish at the upcoming major – ESL One Cologne 2016 – would put his team on par with the VeryGames top four finish at Dreamhack Winter 2013. So this will be the real test for ScreaM and his team, if he as a newly transformed player can continue his hot form from the ECS Finals, and with remnants of the VeryGames lineup of 2013, once again push a French team to the top of a Major.